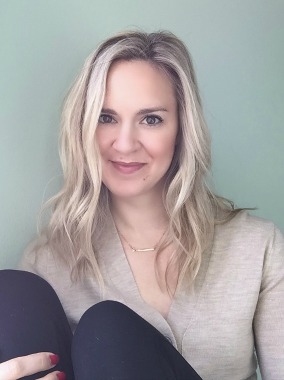 Here's the deal: this has got to be a quick overview post on some social media hacks I picked up over the months and were reinforced at my conference. Why? It's 1:38pm on Tuesday and I'm running out of nap time to get this baby hammered out! Going to Blog Elevated has me all kinds of behind. 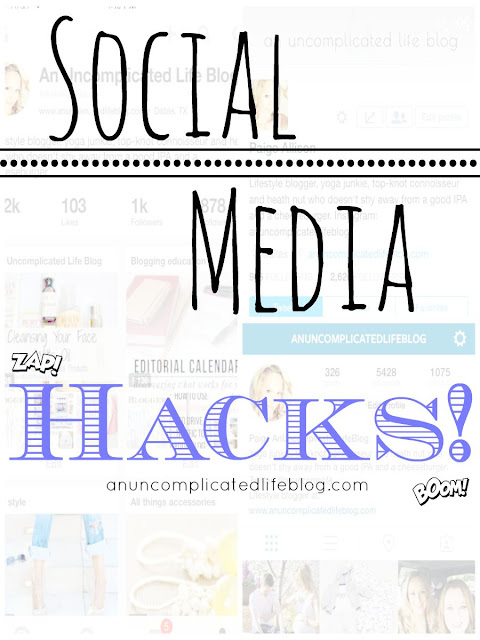 But I'm not one to leave you high and dry on a Hump Day, so I'mma give you some quick social media hacks and blogging tips while it's still fresh in my mind! I hit my 1k mark on Pinterest! This was one of my 3 September SMART goals, but to be honest, I've been hustling Pinterest hard since the beginning of June. Another Sept. goal was getting my Young Living oils up on the blog, and while I'm still working with my designer finishing that, you can find a link to my oils website on my sidebar! ----> Now I get to spend the rest of the month improving my AdSense game. I read this post on blocking low-paying advertisers, and without doing anything else, my revenue is already up 20% this month. The Sassy Tweetress gave us some awesome social media hacks and outlined how everything really works for us at Blog Elevated. She made some great points about twitter: that it's the "high school cafeteria" or the conversation center of all the social media channels. while that sounds catty, you still need to be and represent your true brand! Think of it this way before you press "tweet" - what value are you adding to the conversation? I went to a session entirely on Instagram at Blog Elevated, and BOY, do I have work to do to get it up to par! I want to turn that info into a future blog post but I have so many pages of notes, I'm going to have to do some major thinking and condensing for you. This post has some great tips on expanding your IG reach. Outside of that, a really big takeaway was to follow inspirational accounts and other "A-list-ers" so that you're inspired to improve your own feed simply by scrolling through your general feed. I'm currently on the hunt for great accounts to follow! Pinning these! So thankful that you are sharing! Great advice! Instagram is my main focus right now and it's amazing the growth I've seen by changing a few things. Pinterest is really powerful. I have been exploring the promoted pins feature and have generated 122 clicks with a 40% sign up rate so far for only $50 bucks. I love these tips! I need to really work on Twitter, for some reason I am just not into Twitter! I'm going to check out that AdSense post! Pinning this for later reference! I need to check out the AdSense post for sure! Thanks for sharing! Great post and links, but still need to know about Adsense. Sounds a bit complicated. Keeping these in mind. Social media is so must for blogging these days! thanks for the info girl! very helpful. i laughed so hard because you were like 'running out of nap time to hammer this baby' and i was like so confused for a hot minute lol. Great post, so helpful!! Thanks for sharing. Thanks for the great tips! I'm still working on all of this social media stuff. I've been blogging for a long time now, and have been using social media for a while as well, and I'm still getting the hang of it. When it comes to Twitter, I am completely clueless, and even though I've been using them, I still don't understand the whole hash tag thing. It's all good. I'm sure eventually I'll figure it all out. Thanks for all of these hacks! I've been blogging for a little over 6 months now and still learning ways to better my social media. My IG needs help too ... but don't forget what your goals are. If you LOVE your account, reach out to the BRAND(S) you want to work with and see what they are looking for. Everyone will have different ideas. Just a little reminder. Not everyone will require a the same thing. It was FANTASTIC meeting you! Definitely going to check out the AdSense post! You and I are on the same page with wanting to up our AdSense game. And I love finding inspirational IG accounts to follow. They totally make you want to share better photos. We'll see if I'm ever able to do that, haha! Love it! I'm excited to check out the other posts. I'm always looking for good ways to improve my social media game! Thanks for sharing! Great article you left us on How to Grow Your IG. I tweeted that biznatch and pinned it. And I've got another tab open for another to read in the morning. I would love to attend a blogging conference. I will be checking out some of these posts. Thank you so much for this! And yes, please do a post on Instagram social media hacks!! My instagram needs a serious makeover!